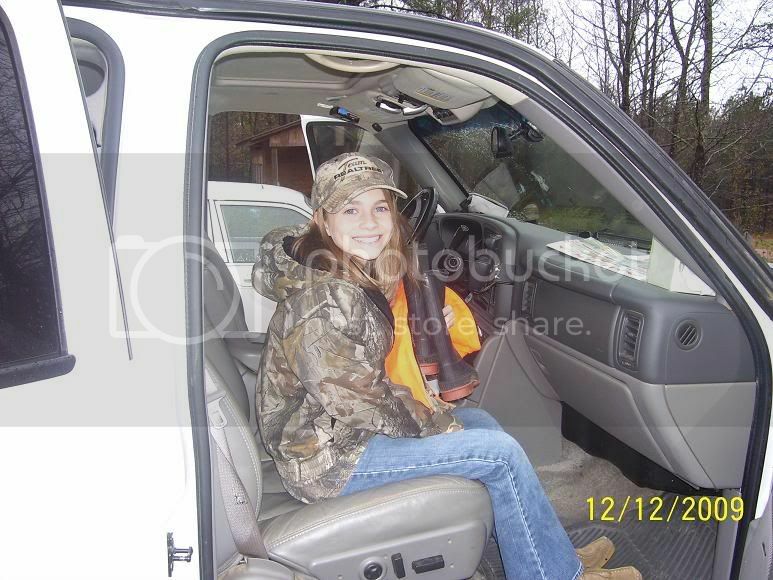 We at "A Hunt Above" had the chance to take a girl who we had taken on a hog hunt earlier in the year on a deer hunt. We took Anna on the hog hunt first because her step-dad wanted her to gain confidence in her ability to shoot and to keep her interest in hunting. Anna is recovering from Ewing Sarcoma, which is a bone cancer. When Anna was 2 1/2 years old she broke her right arm. While in the hospital the doctors noticed the bone cancer and immediately sent her to St. Jude in Memphis, TN. While she was at St. Jude's the doctors had to remove the bone from the elbow to the shoulder on her right arm. Anna continued improvement and did everything a little girl could do while growing up. She even played softball up until last year, catching and throwing with her left arm. 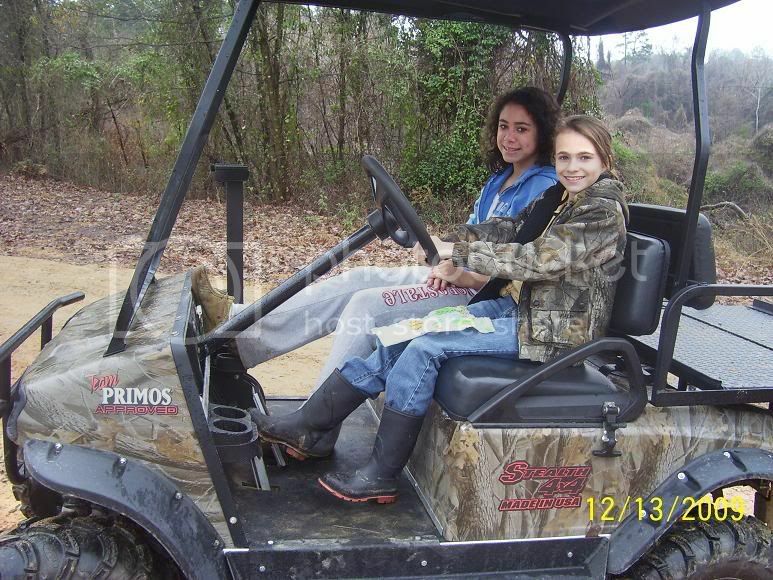 Anna and her step-dad, Heath, arrived at the "A Hunt Above" camp in Holmes County, MS. on Friday Dec. 11th. We all went out and enjoyed fried catfish and had great fellowship. The next morning Heath and Anna were set up in a ground blind. 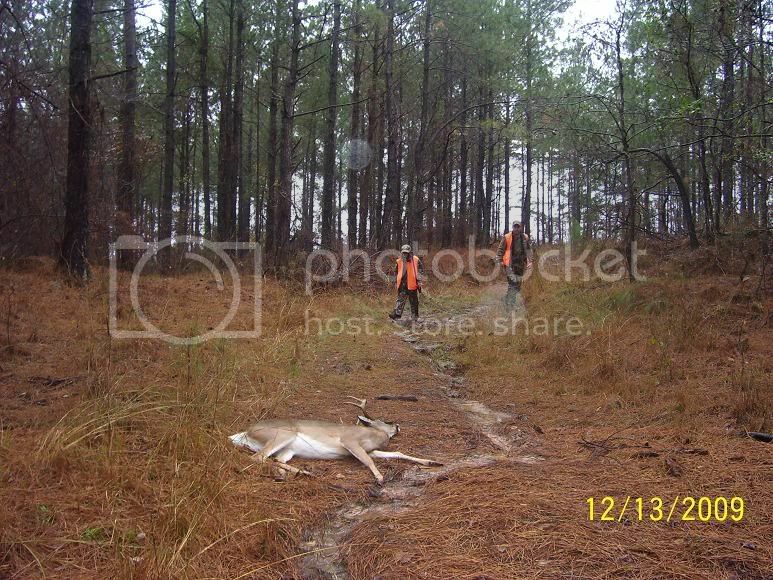 There they saw a lone doe, but decided to wait and see what the weekend would bring. Nothing else was seen that morning as a storm had approached and the rain started to come down. We then headed to West Wynne Farms, owned by Don Wynne, to feast on soup and sandwiches. After lunch, we headed to Don's nice shooting house. It wasn't long and we started seeing deer. The rain would come and go, so not much activity was going on at the time. We ended up seeing 13 or 14 deer that evening all being does and yearlings. Right at last light, Anna decided she would try to harvest one of the large does in the food plot. Well the shot missed the mark and Anna was a little upset. We went back to Don's for a nice supper and to warm up. After some stories and presenting Anna with a Bass Pro Gift Card, she had gotten over being upset for the missing the deer. We headed back to the "A Hunt Above" camp and retired for the evening. The next morning Heath and Anna were set up in a two man ladder stand. Around 8:15 am there was a shot heard from her area. 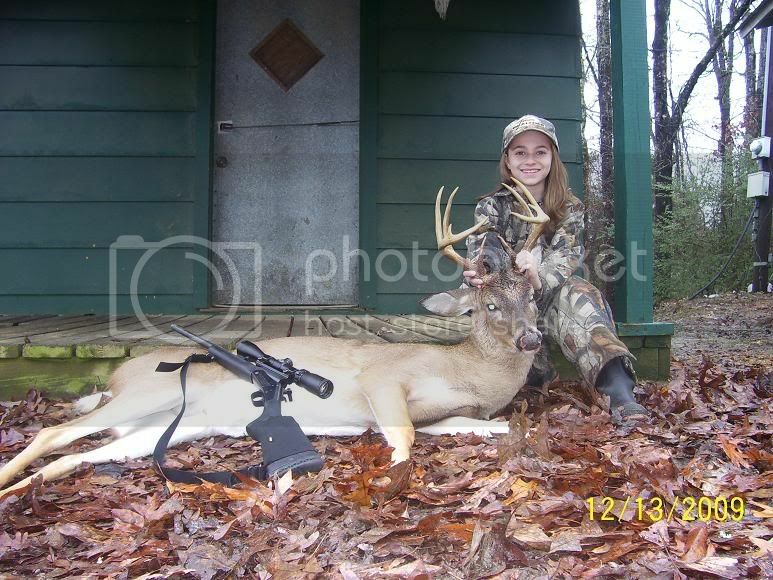 Anna had made her mark and harvested a nice 10 point buck. This was her first deer ever and she was very excited. High fives were exchanged and hugs were given. for providing free mounting of Anna's buck. We would also like to thank all the sponsors who continue to support us with these hunts at no cost to the family. Please continue to pray for Anna's recovery and for "A Hunt Above". Mike, very very nice. Love to read about the children and their hunting trips. You are first class and we appreciate your effort. Congrats Anna on a very nice buck! Congrats to Anna & all those involved ! Super nice buck! Tell her I'm jealous , One fantastic buck she got. She is now the official Buck Master of MSDEER .NET. Great job you did Mike, keep up the good work. 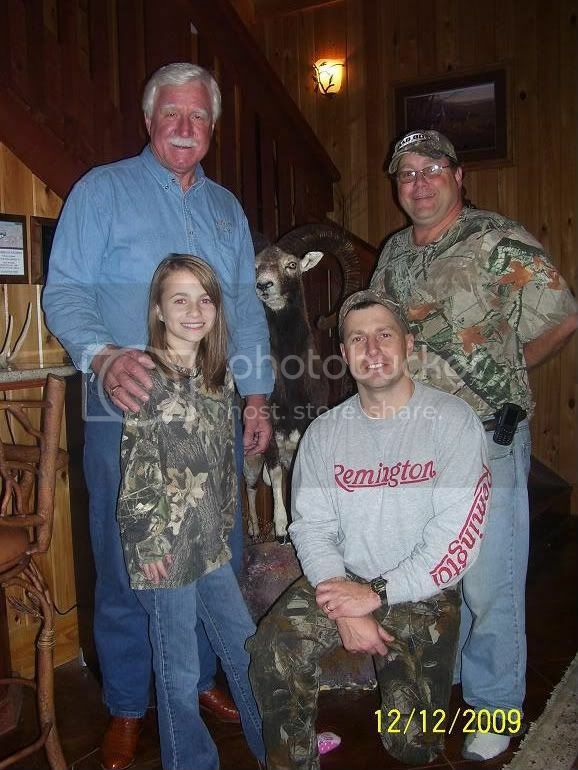 Great pictures and story Mike and congrats to Anna on her great deer.